The gold sparkle bow is AMAZING!!!! 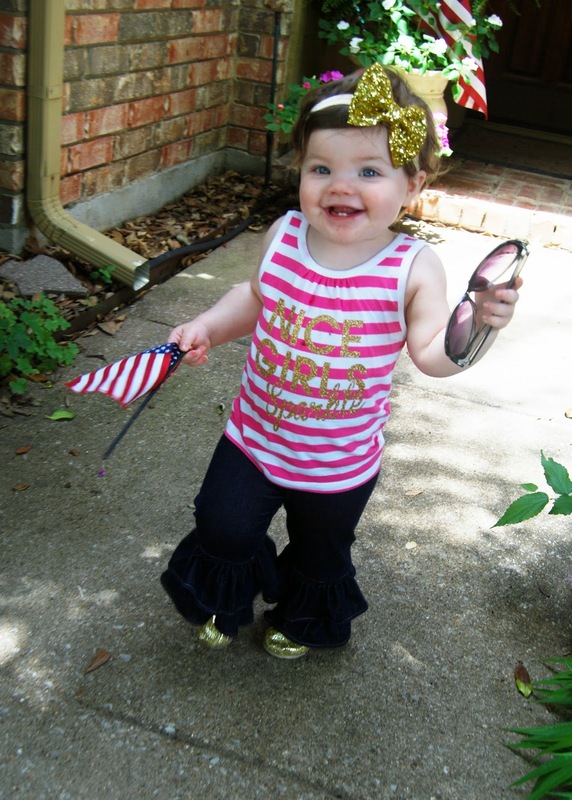 It was PERFECTION with her Nice Girls Sparkle tank, gold glitter TOMS and ruffle jeans. 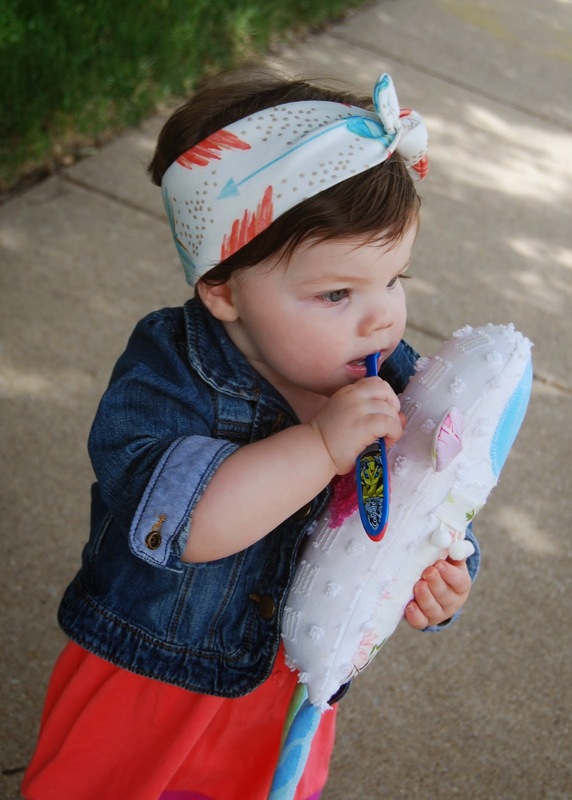 Although Griffin wears mainly headbands (the kind on elastic) we also LOVE fabric headwraps. I can't wait for it to be an actually appropriate temperature for her to wear this outfit!!! 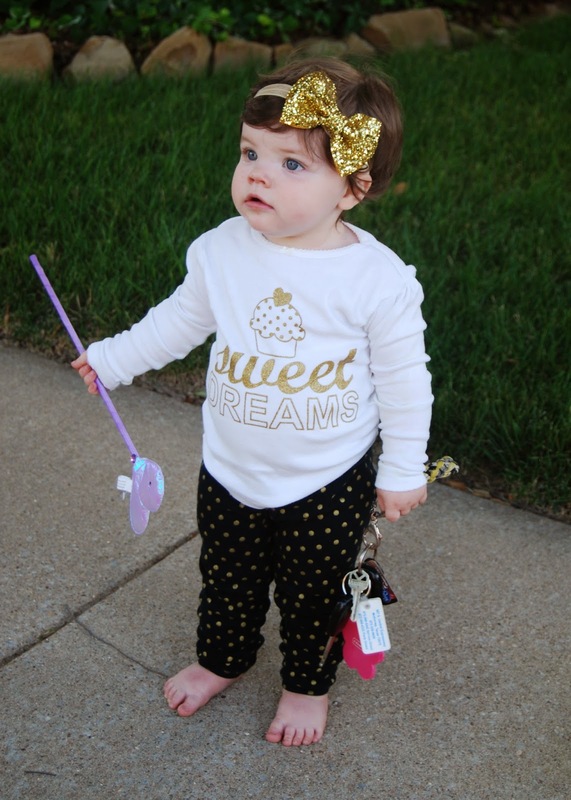 The little glitter bows also look PRESH on a headband. 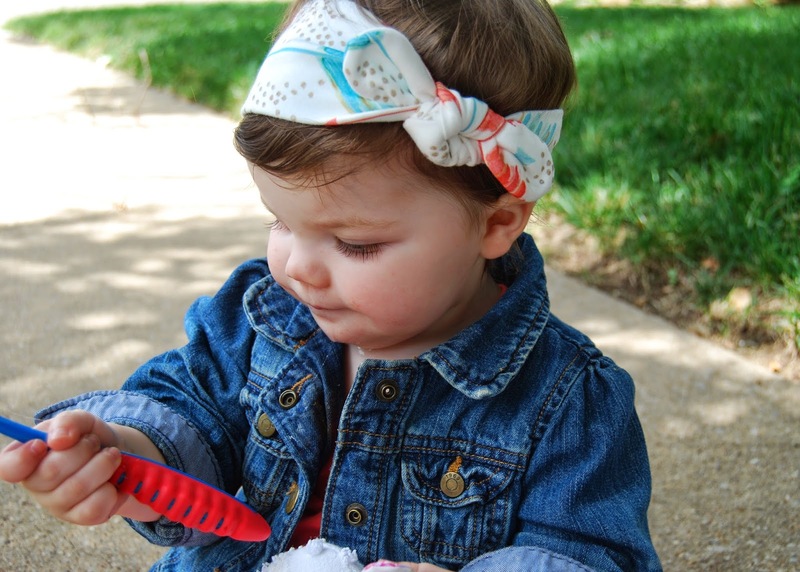 It cracks me up, because Griffin will leave a headband alone all day - but those little clippies she wants to take out. Not only did Amy send me a bag of sweetness - she's giving TWO of y'all each a $25 store credit! All I can say is eeks! E.E.K.S!!!!!!!! So cute!! Aww! Griffin is so precious in every bow!!! A.D.O.R.A.B.L.E!!!! I just smile and smile at her cuteness as I scroll through her pictures!! 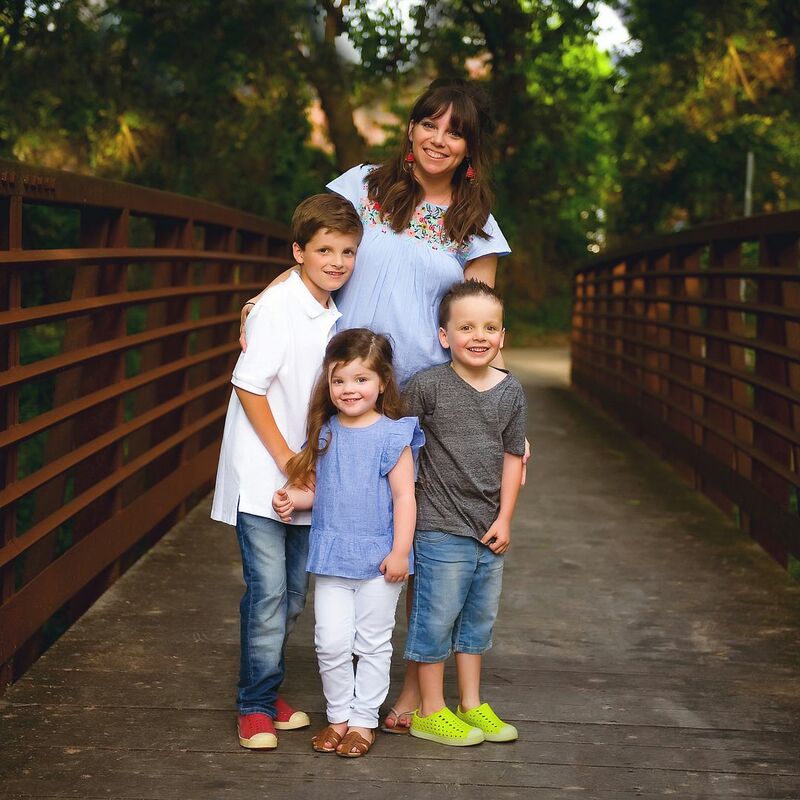 Thanks for sharing your cute kids with your readers! These bows AND Griffin make me want another baby girl!! There. I said it! Adorable. My very fave was the fur vest. You know Slaughter girls LOVE a fur vest! Oh my word! Adorable!! Looks like Griffin is feeling better! And stylish as always! Love the clips and headbands! What girl doesn't need more sparkle??? 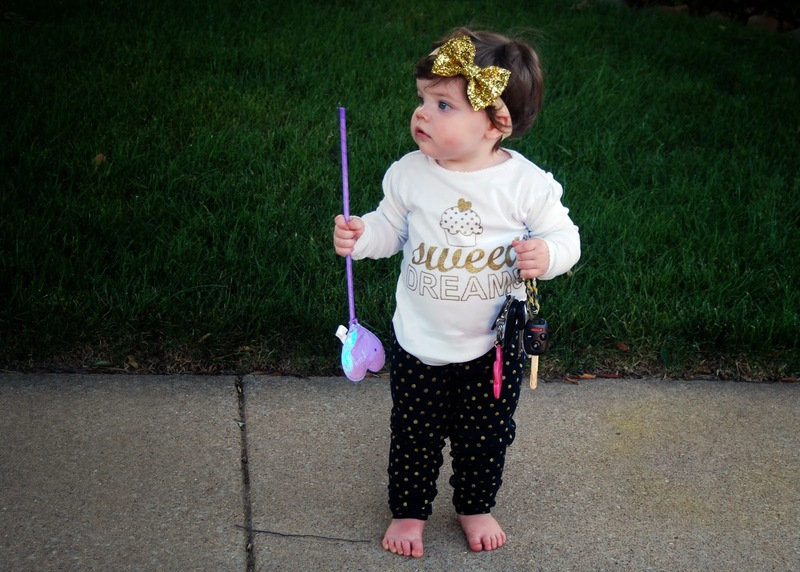 Love the ice cream bow! So cute! Those headbands are adorable!! Hope Griffin is feeling better!!! Oh my word!!! 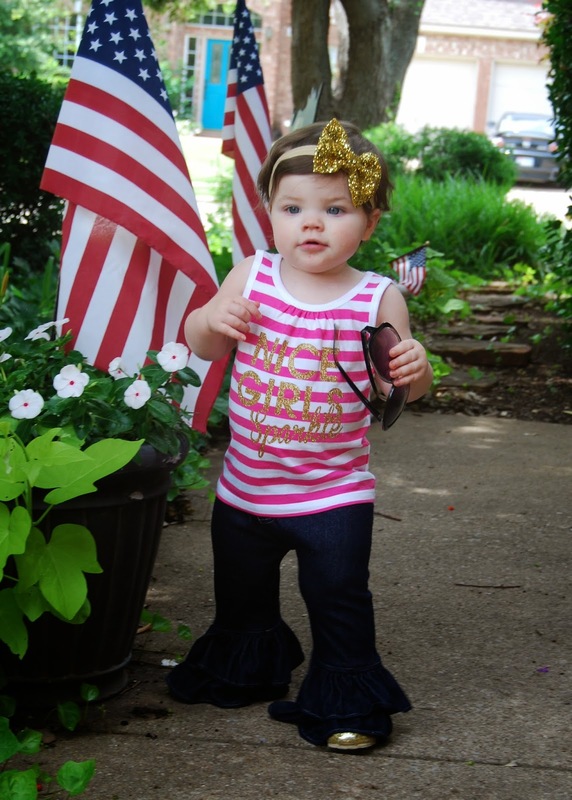 Your little Griffin is the most precious thing ever! I smile and chuckle every time you post pictures of her. Her wardrobe is to die for and girlfriend knows how to work it! The fabric wraps take the cute! OH MY. Miss G needs to stop it with the CUTENESS! 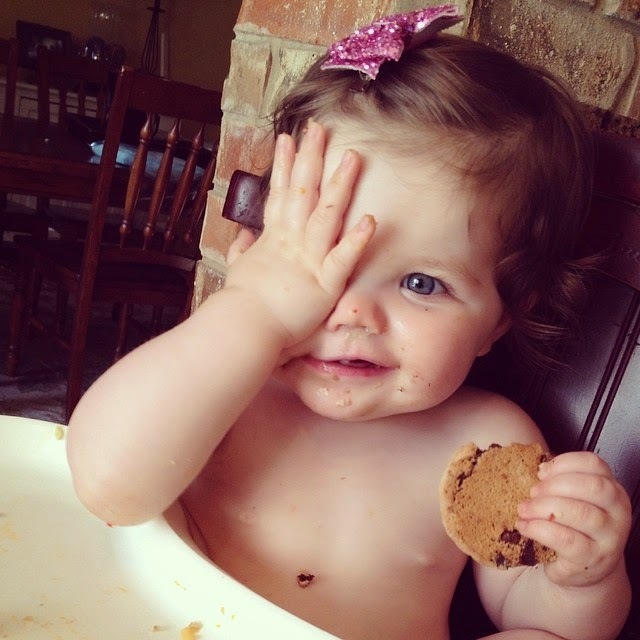 The one of her covering half of her face in the high chair. Oh my word at the sweetness. I love the coral & blue headwrap!! LOVE the sparkle! So fun! Love the gold toms and the press new bows and wraps! She looks as stylish as ever! I love the sparkle!! Such a cute giveaway! My best friend just had a brand new baby with a head full of hair! These would be perfect for her! Oh my goodness. These glitter bows and clippies are too much. I am totally going to buy some. 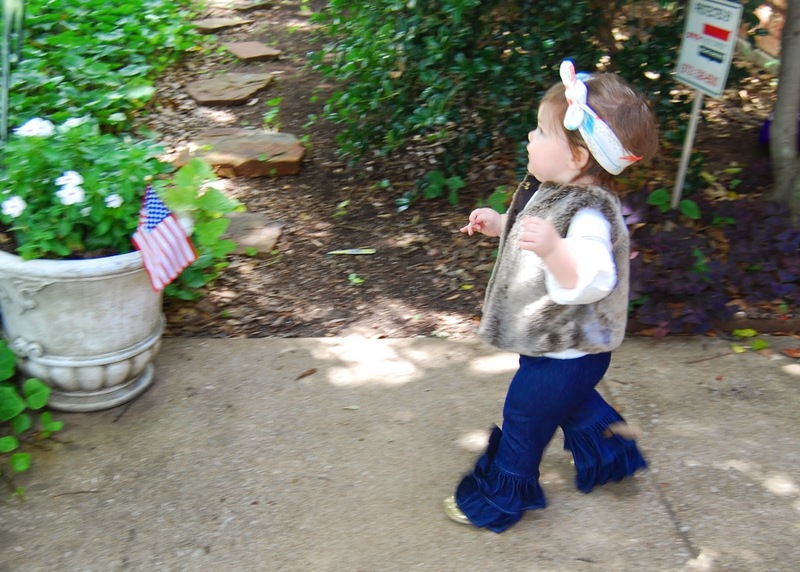 Presley may NEVER take them out of her hair! ;) So fun! Love all the bows and wraps. My 2 girls would love them too! Love these! Griffin is just too cute in them!! Love these. The gold is to die for! So darn cute!! 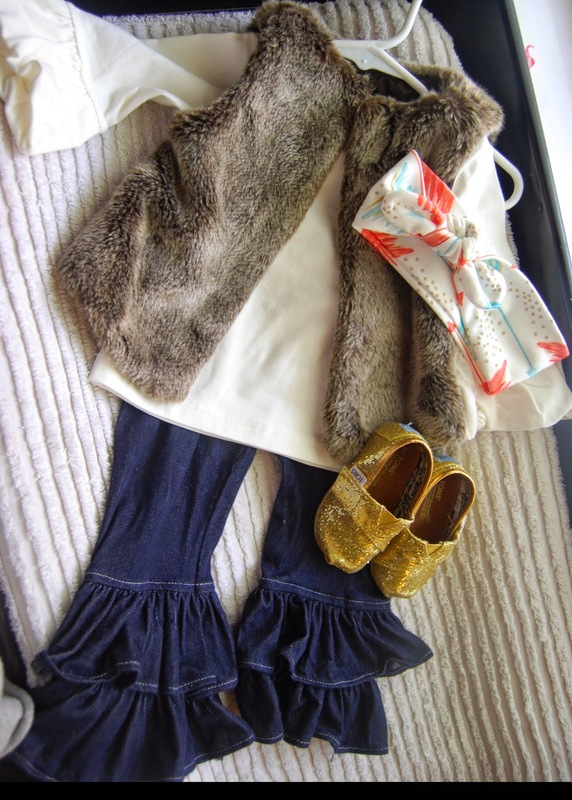 Love that fall outfit! Those head wraps are so cute! 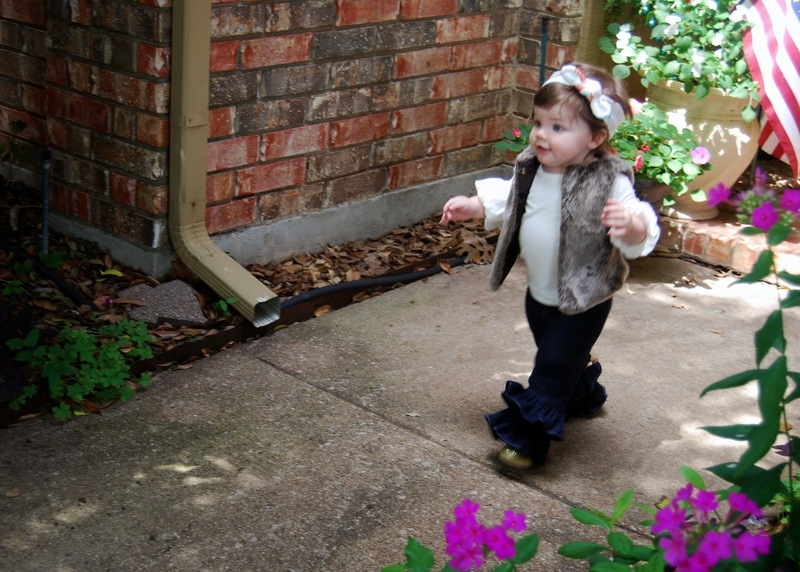 That vest and bow- so cute!!! Love the sparkle!! Would be perfect for my little girl! We LOVE glitter in our house. Would love to try. I would love to win! We are expecting a girl in Dec. and I can't wait to put headbands and bows in her hair! Would love to win!!! 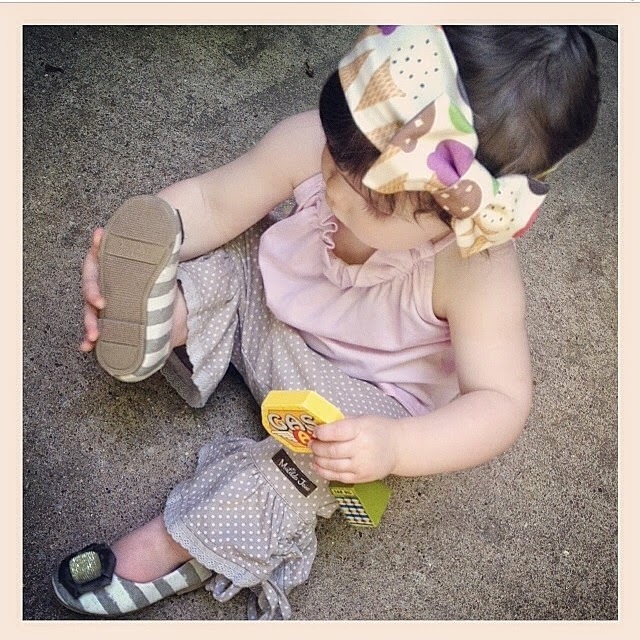 The ice cream bow wrap is adorable!!!! Griffin is the cutest model! 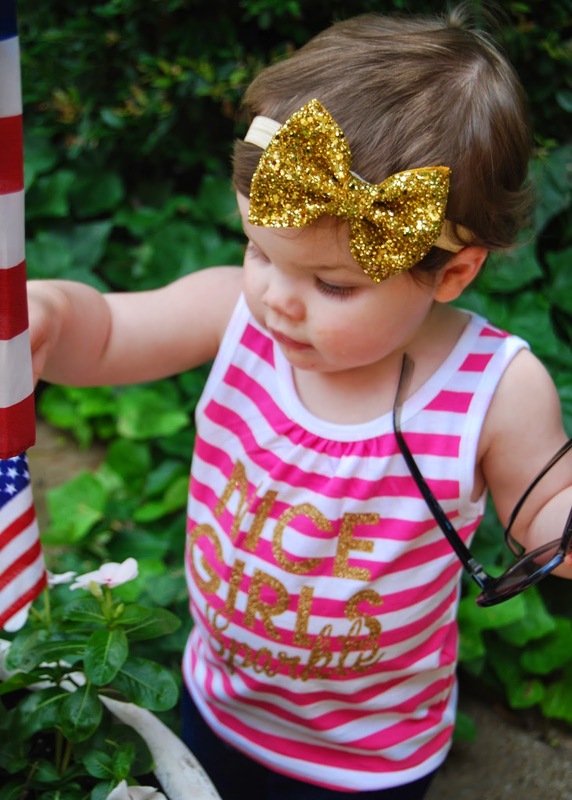 My daughter wears bows daily and we need some sparkle ones added to our collection!! Those are so adorable, and, naturally, Griffin is the perfect model! I love the sparkle clippies! 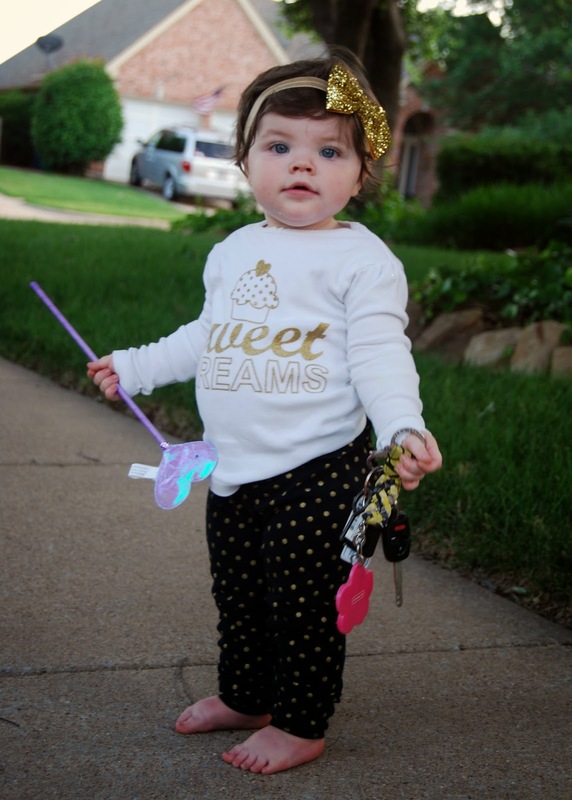 so adorable - we just found out we're pregnant - a newborn girl would look SO adorable in the sparkles!! 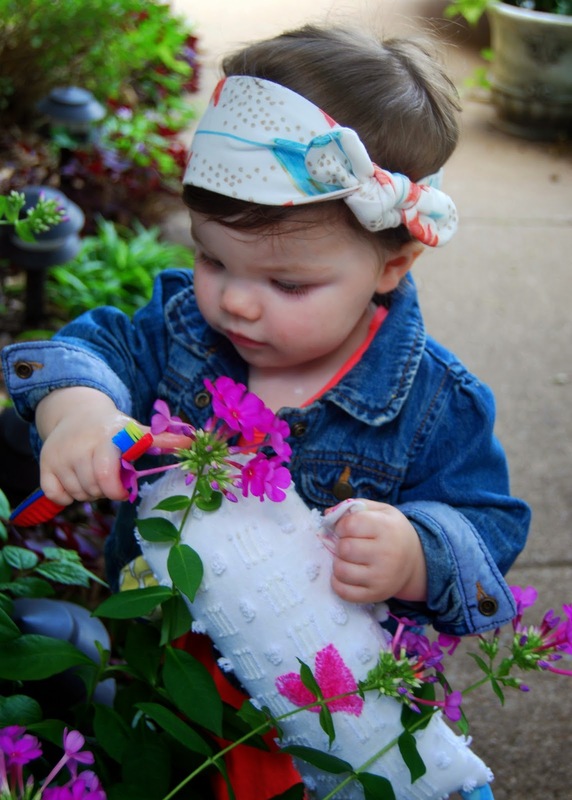 Would love to win some bows for my little girl! G looks adorable as always! would love one of those wraps for my Ansleigh! have a great week! I'm reading this on my phone with my son in my lap while he watches Mickey Mouse Clubhouse. He saw the picture of Griffin and leaned in and kissed the screen! 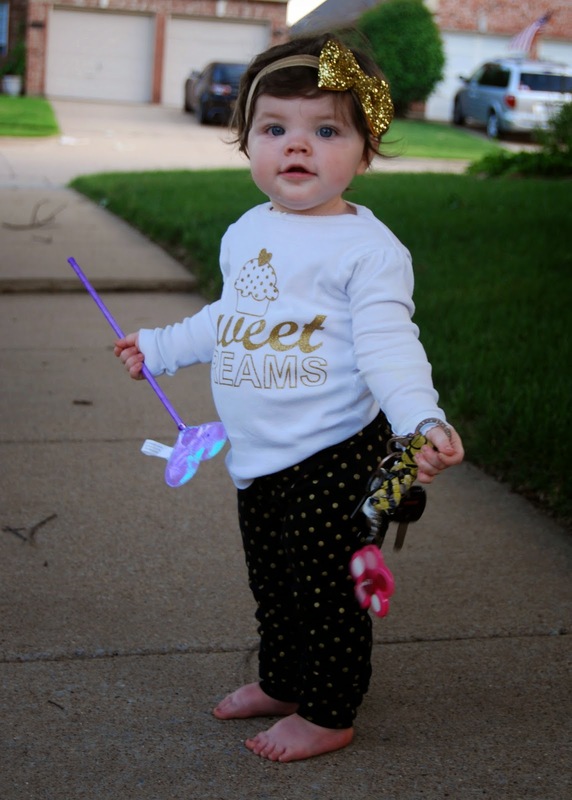 Our twin girls would rock some glitter hair bows! I love the sparkle bows. Sharing with my friends! There is a whole lot of cuteness going on in this post....I just Love Griffin!!! Oh my goodness...that is just too much cuteness to handle!! I just love all the sparkle and the bows! Everything is so cute! My girls need the head wraps. 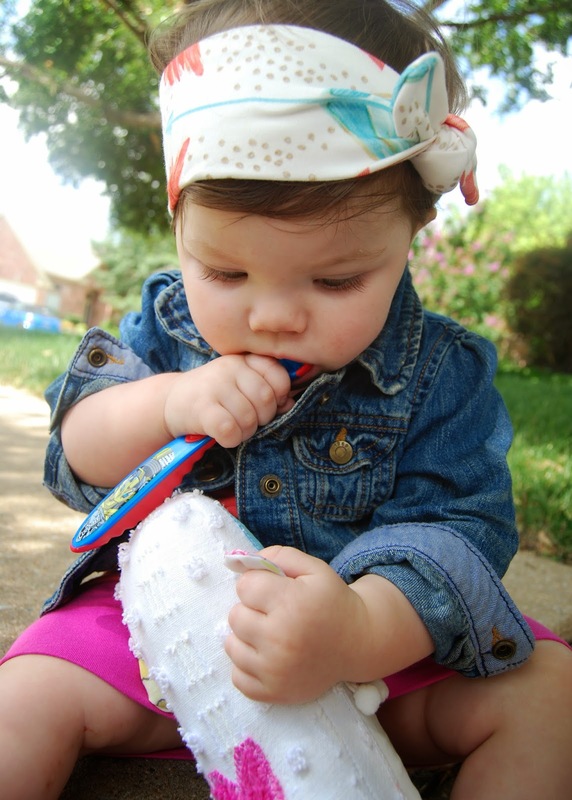 I'm obsessed with Two Little Bees donut headwrap! 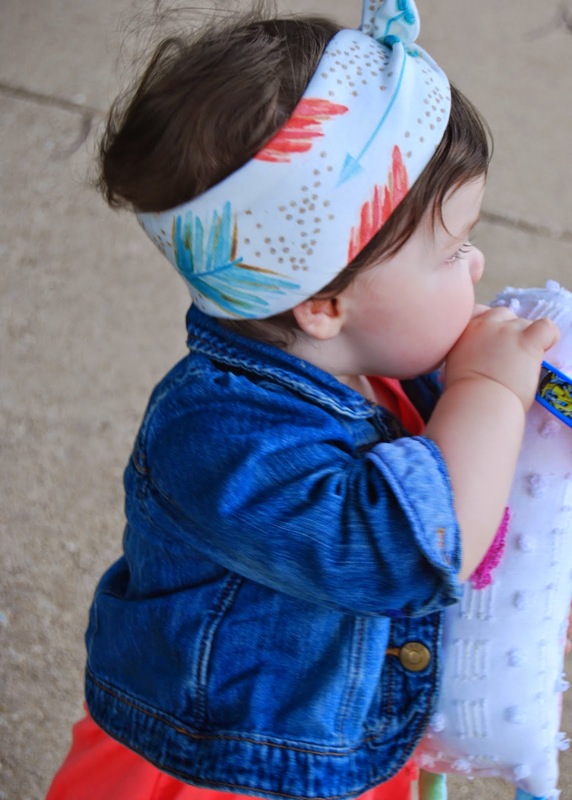 I'm obsessed with Two Little Bees' donut headwrap! TOMS and bows, doesn't get much cuter than that!! Seriously. Griffin has the best now collection ever. I love it!! These are just adorable!! But, Griffin looks adorable in anything!! Cutest.model.ever!!!! 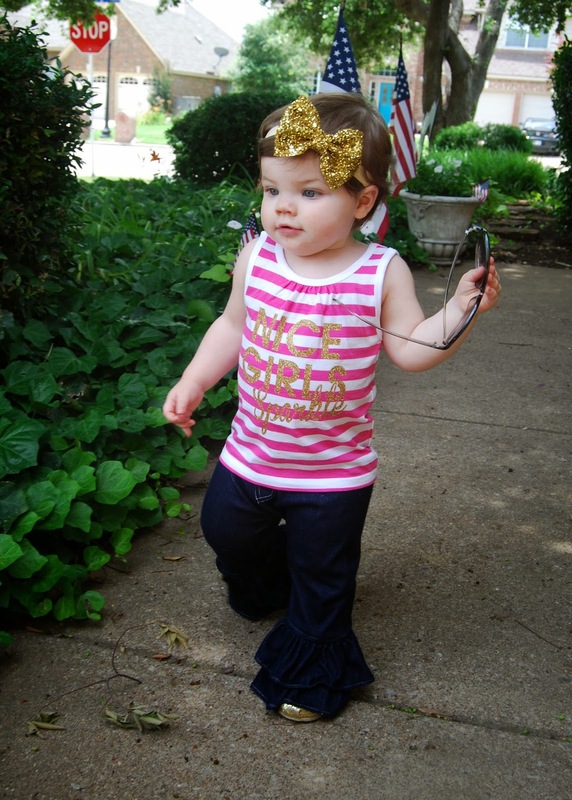 I LOVE that cute gold glittery bow! so cute!!!!! 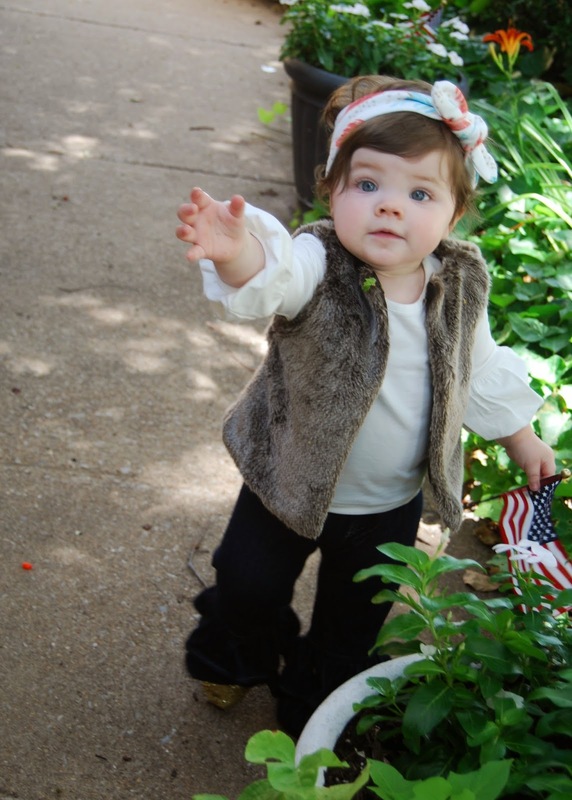 The fall outfit is so precocious!! OMG I'm dying of cuteness overload!! OMG! I am dying of cuteness overload!!! Love love LOVE all of them!! 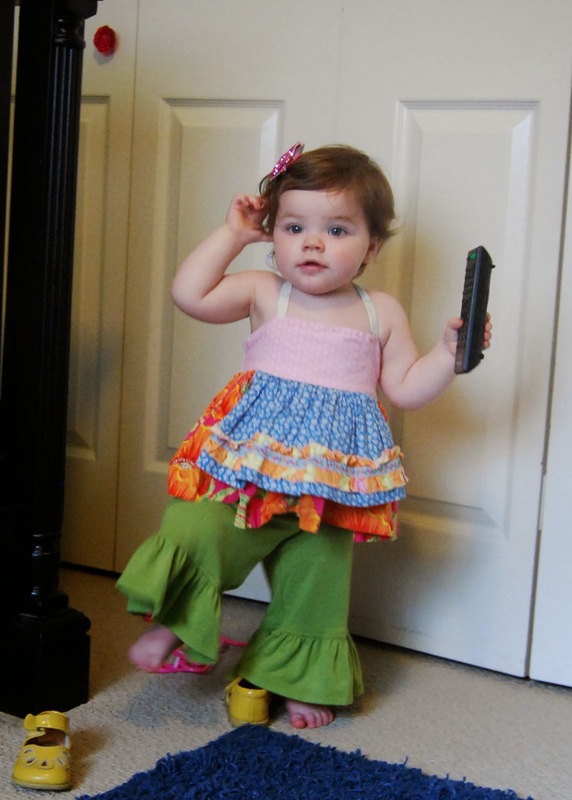 I need to get some for pigtails!!! Too stinking cute!! Love all her new hair accessories!! 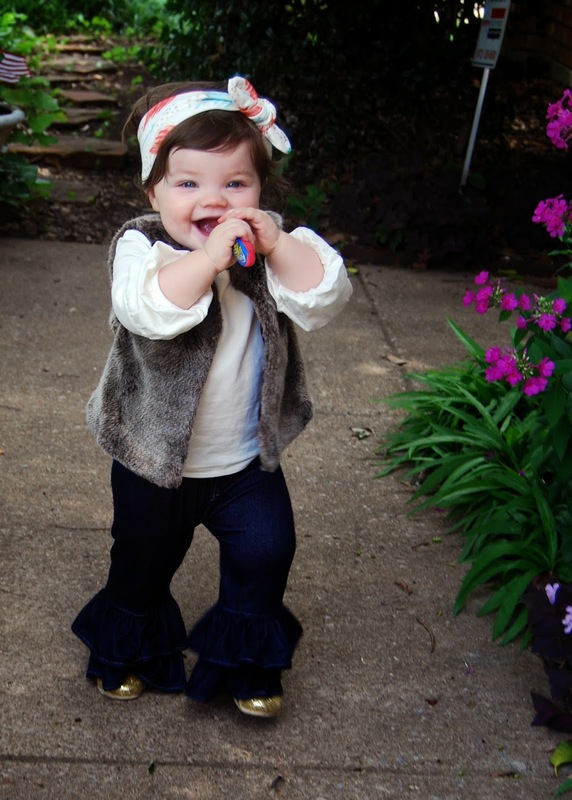 Your little gal has the cutest clothes! 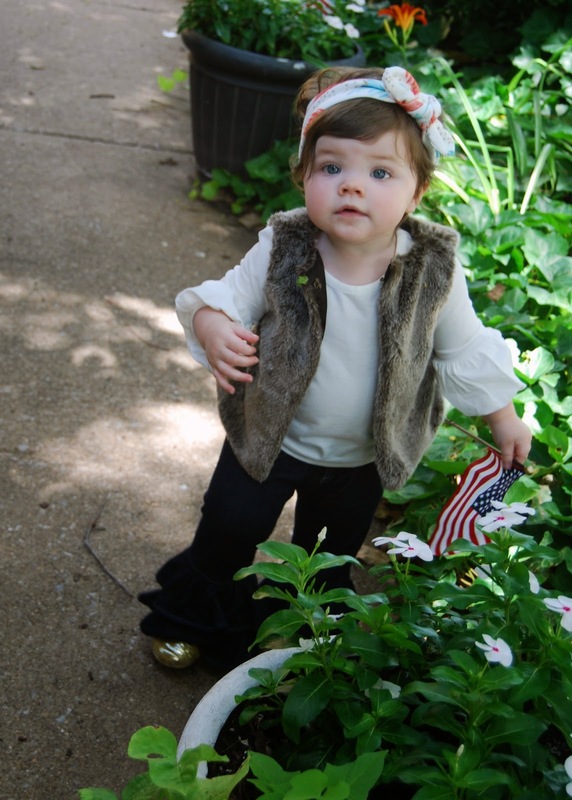 She is such a doll, love her pics! I LOVE these headwraps! Claire needs some in her life! And the pic of G with the side sparkly clip and cookie on her face is TOOOO cute! So cute! We are a clippy family (my daughter is not a headband fan) and she loves "parkles." 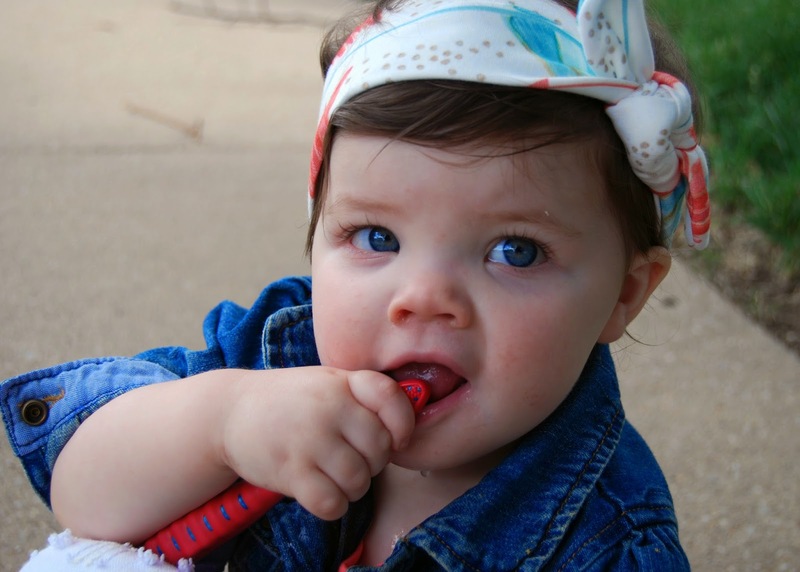 They look adorable on G.
Love all your posts-especially the giveaways! So cute!! Love the head wraps!! So cute, perfect for my little! Also, Griffin is just the perfect model - so sweet. 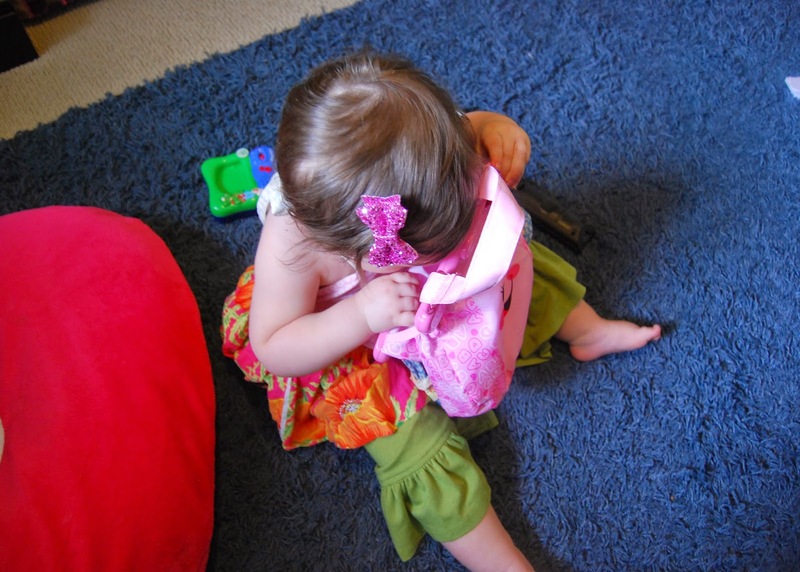 Those big wraps are just what I've been looking for to hide fuzzies on my curly-haired older daughter's head with ponytails and pigtails! 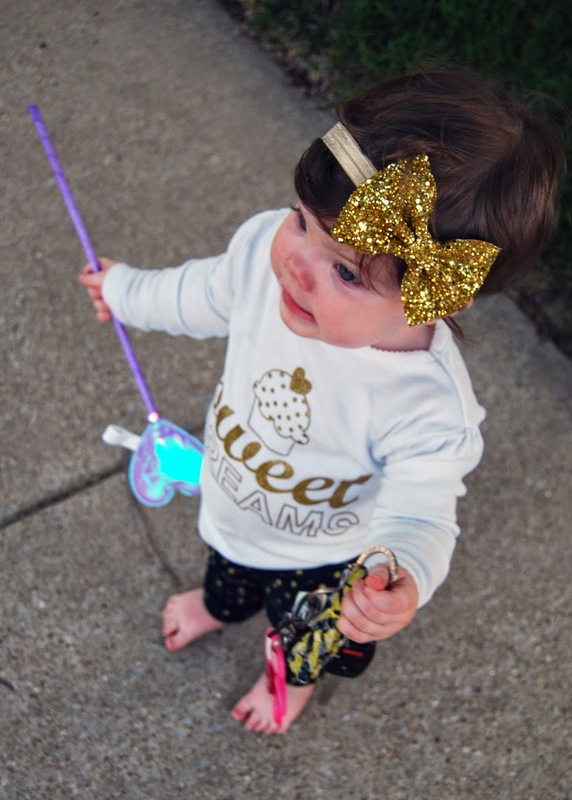 Love the giant gold glitter bow! 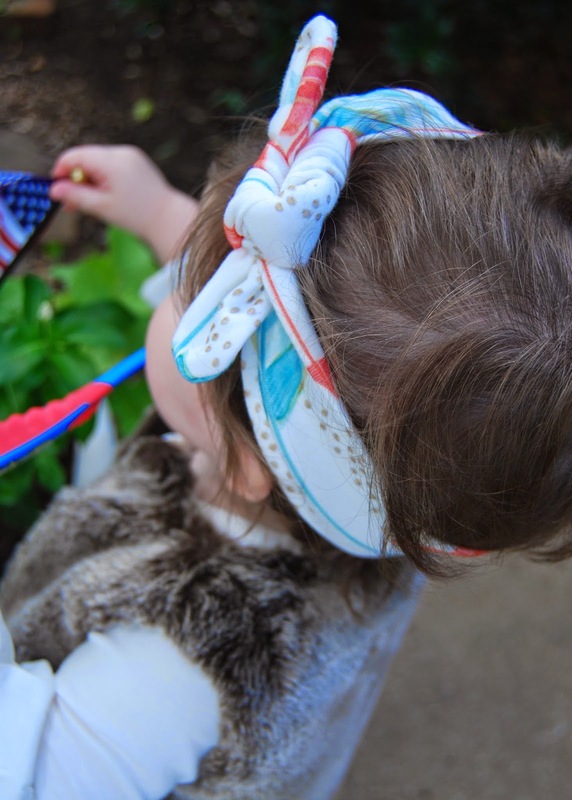 With three daughters, these hair accessories are a must:)!!! Fell in love with these wraps the minute I saw them!!! !